Corviale is a huge apartment block building situated in the suburb of Rome. During summer 2016, Laminarie has curated the first version of Midollo at Virgolone building in Pilastro neighbourhood, where the company is situated. 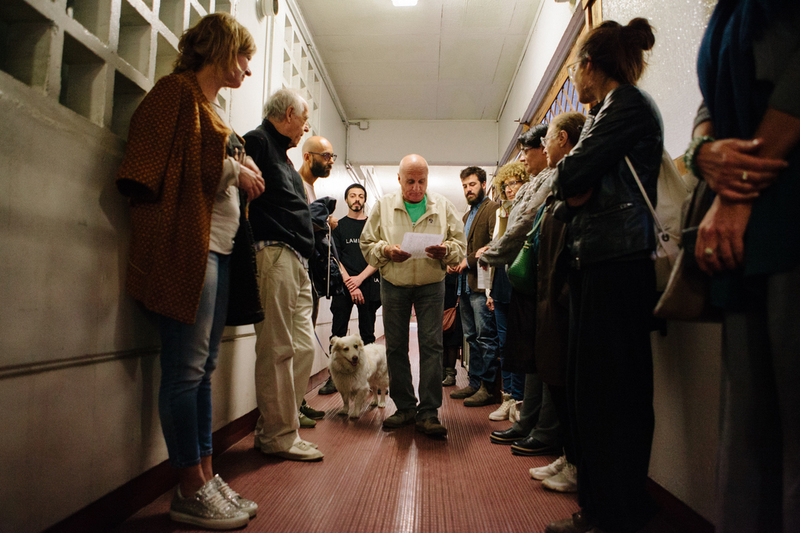 We wanted to get in touch with the everyday life in the area and involve people in a theatre activity in order to bring audience from other parts of the city to enter inside Corviale’s reality. In order to face stereotypes it’s very important to bring people directly in contact with situations, especially through an emotive experience such as a theatre play. Laminarie has a long experience in exploring unusual spaces through site-specific itinerant performance, trying to enlighten new meanings of the place through the language of theatre. Corviale is a huge popular apartment block building composed by six lots. It's 1 kilometer long and it hosts 1.200 apartments and almost 6.000 people. 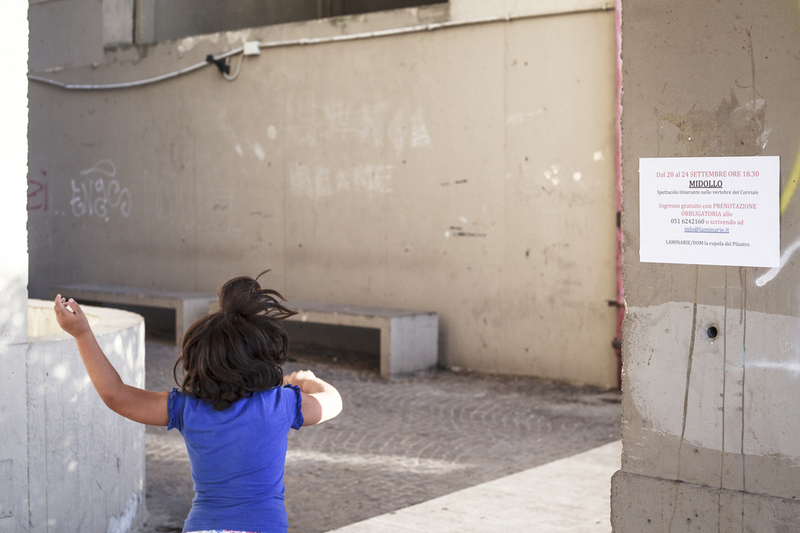 We moved in Rome for a month and we’ve been in direct contact with Corviale habitat and citizens. This helped us to reach people living in the building by everyday contact and relationships and to involve them in the activity. We used annoucement directly in the entrance halles of the buildings and word of mouth to reach people interested in taking part to the project both as participants and as spectators. We lead a two-weeks workshop with the people who decided to take part to the project in order to build the final performance (5 replicas). 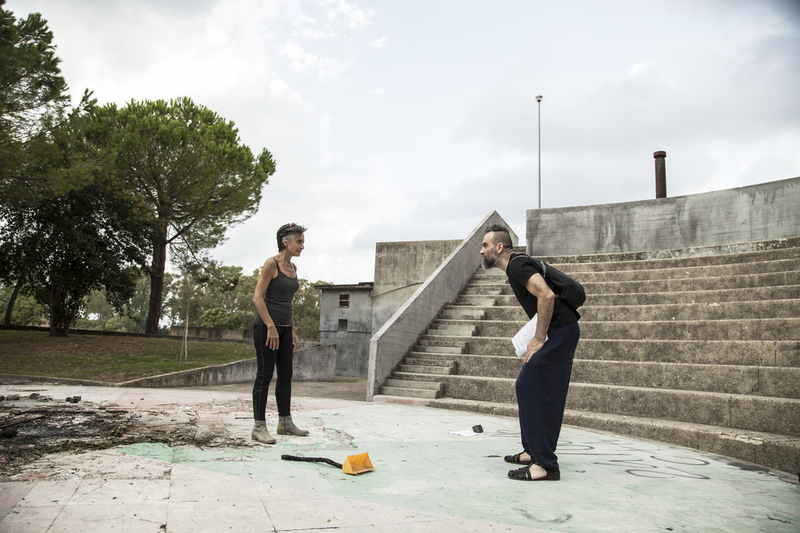 During the workshop Febo Del Zozzo, the director of the company, worked with non-professional actors for the realisation of the itinerant journey trough Corviale building. We created a performance called “Midollo/Marrow“: each sector of the long building was assigned an area of the marrow (cervical, lumbar etc). The public was divided into four groups according to the different anatomic sectors and guided by a kid, who led the audience around among halls, rooms, stairs across the whole building. 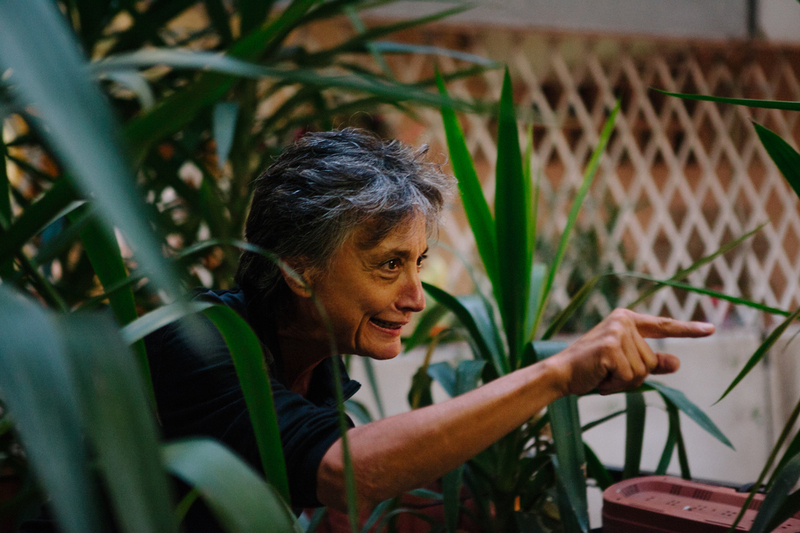 In each step, the audience met one of the building’s inhabitants with their stories and jokes. People involved in the performance don’t play characters but they are themselves in the creation of simple actions or lectures. Midollo took the audience to cross this huge concrete spine in order to meet its severe architectures, its empty holes and full spaces, its stories and people. We asked the audience to get in touch with a particular venue: linear, geometric, rigorous, repetitive. By going through it, people who accepted this challenge could experiment the connections between matter, time and discovery. 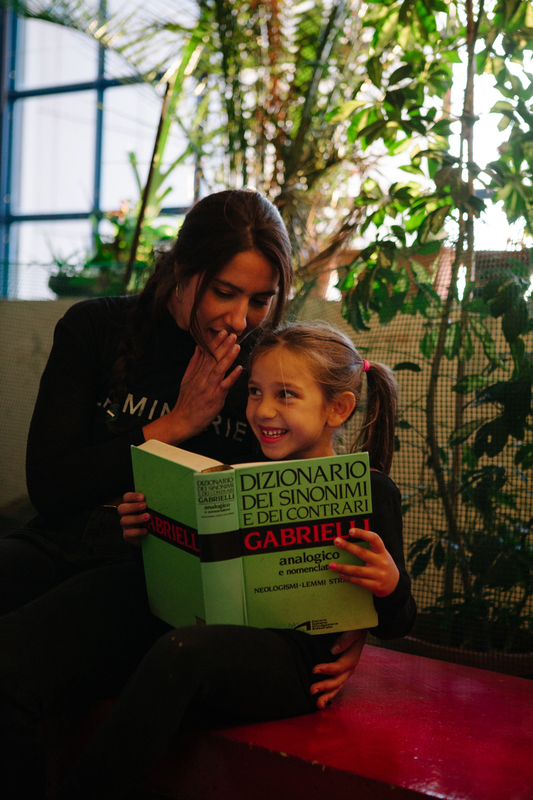 We were very glad to have the opportunity to get in touch with Corviale’s inhabitants and to get them in touch with Roma’s audience. Laminarie wished to work in the Corviale building because of its characteristics, this is the symbol of the area and it has been identified as source of social disadvantage for long time. Of course, by crossing the borderline between “outside” and “inside”, the audience could experiment a different perception of the venue. 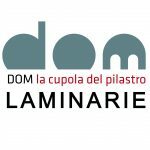 with the support of Roma Capitale Assessorato alla Crescita culturale, Comune di Bologna, Regione Emilia Romagna – Assessorato Cultura, Ministero dei Beni e delle Attività Culturali e del Turismo. 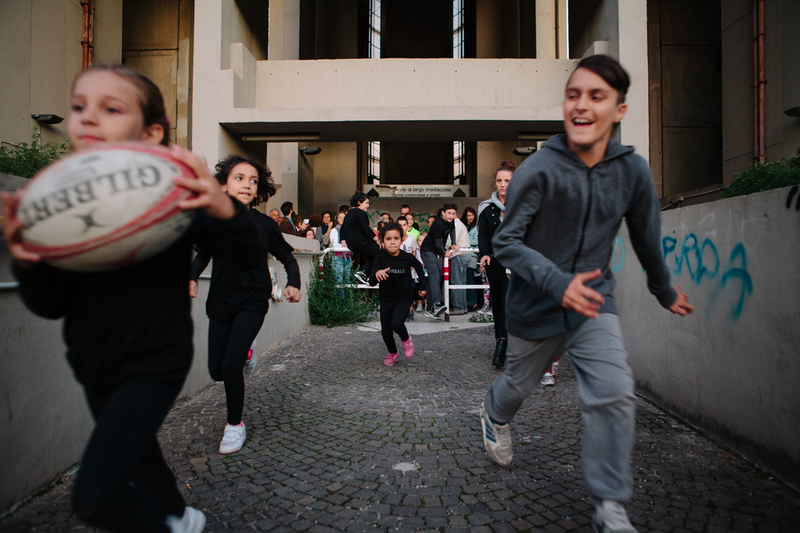 The activity is part of Estate Romana promoted by Roma Capitale Assessorato alla Crescita culturale. Estate Romana is in collaboration with SIAE. Laminarie moved to Rome to stay in direct contact with the inhabitants of Corviale and find people interested in taking part to the project. 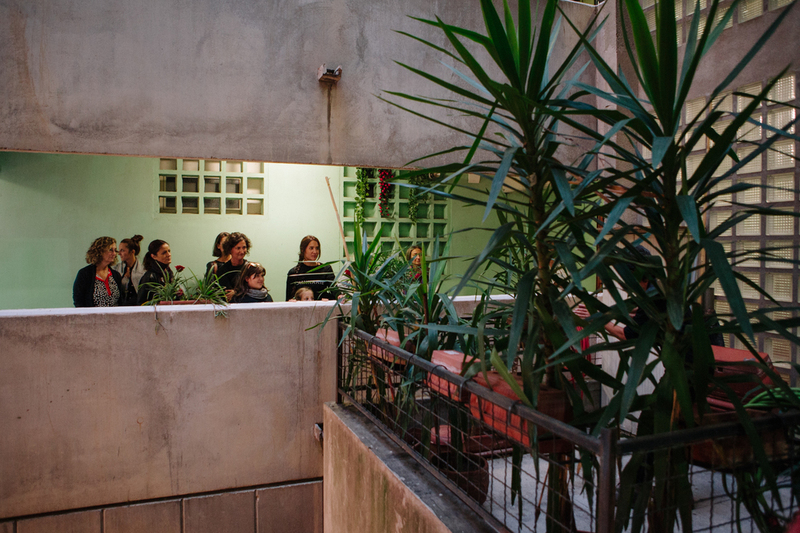 Laminarie held a workshop with the inhabitants of the building in order to build a performance trough the Corviale residencial building. 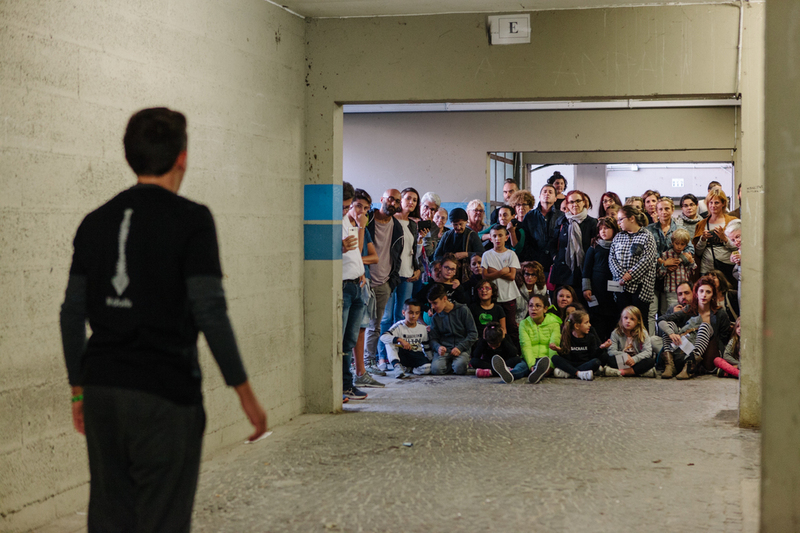 During the 5 replicas of Midollo more than 400 people came to Corviale to attend to the itinerant performance and discover a new face of Corviale.